Judging people based on how they look is a prevalent problem in today’s world. Wonder works to address that very issue through the story of Auggie Pullman (Jacob Tremblay). The positive themes are what hold this movie up. The overall plot and characters falter at times, but the messages being sent are good enough to make you have a positive reaction to the film. Auggie has a craniofacial condition that has required over two dozen surgeries and causes his face to look different from most kids. Upon attending a public school for the first time, Auggie gets made fun of because of the way he looks. He spends most of the movie learning about the fact that people can often be very mean and hateful to others. From his very first day of school, Auggie’s dad Nate (Owen Wilson) makes sure that Auggie knows that there are always people on his side. He tells him, “You’re gonna feel like you’re all alone here, but you’re not.” And this quote just illustrates how important family is and how it is portrayed here. Auggie always has his parents and his sister to fall back on when nothing else is going well for him. On top of that, Owen Wilson’s character was one of the best parts of the movie for me. He is an example of a great father and is the source of the biggest laughs. I was just left wishing that we were given a little bit more time with him. Auggie standing out is what makes the message of Wonder so meaningful. His story brings so much emotion and good energy to the film. But it begins to stumble when it shifts from focusing on Auggie being a wonder to spending chunks of time looking at other characters. It almost seems like the writers wrote Auggie’s story and realized it wasn’t long enough, so they added parts for other characters. This just takes away from the powerful message it sends about Auggie. It is trying to show that everybody goes through difficult times, but since Auggie is supposed to be the focus, it takes away from his impactful story. This along with the fact that it seems to last about twenty minutes too long detracts from the story as a whole. The message of this movie is very relevant to the way we think as a society today. It deals with a kid who has facial deformities, but the lessons it teaches can be applied to just about any situation. Auggie’s principal puts it best when he says, “Auggie can’t change the way he looks. So maybe we can change the way we see.” Since it takes place mostly in an elementary school, the message can be seen mostly as anti-bullying, but it can be applied in many other positive ways. Wonder is a movie with a very obvious and positive message: everyone has value as a person, no matter what they look like. In having a main character with this condition, it is able to address a number of issues. That’s where it works best. Wonder should be looked at for its positive themes and messages, instead of its quality of storytelling. 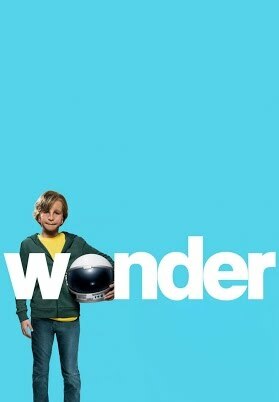 You can see Wonder at Parmer Cinema on Friday, April 6th at 6 and 9 p.m. and Saturday the 7th at 3, 6 and 9 p.m.